Ecommerce is still growing at a high-pace, but online competition is only getting stiffer. Rely on our experience for the ecommerce insights you need to get your online store to the next level. We are not newbies, and hundreds of ecommerce websites have benefited from our expert consulting over the past 10 years. We help on both strategic and implementation level. In other words, we help you do the right things before doing things right. Pick our experts brains to test your current go-to-market strategy, develop your site reach and convert more visitors into buyers. Multi-channel acquisition: marketplaces, affiliation strategies & systems, SEO, PPC, Email.. If you’re running into a wall, because of your organically grown ecommerce platform limitations, call us and we can help you get over the hurdles you currently facing; be it embedding SEO programmatically into your application, stabilizing or migrating to an alternate system. 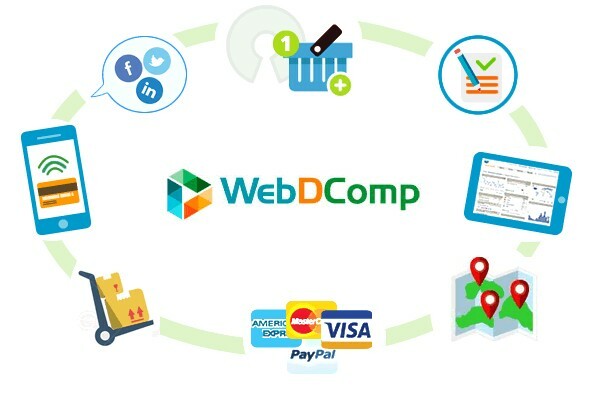 Like hundreds of satisfied customers, trust WebDComp Media provides outstanding ecommerce solutions that attract more web visitors and convert leads easily to boost online sales. Thanks to our 30+ staff of expert marketers, developers & HTML experts, we help you build strategies & websites end-to-end. We build them fast, and thanks to our in-house processes, people and tools, we build them well for a surprisingly affordable rate.